The Rays - Walter Ford, Harry James, Davey Jones (ex-member of the 4 Fellows), and featuring the lead voice of Harold Miller came onto the music scene in 1955. Their first recording for CHESS Records <,<,TIPPITY TOP» received limited air play and soon they were without a label. Two years later they were signed to the XYZ label, owned by the writing team of Frank Slay and Bob Crewe. Crewe would soon become famous with his association with Frank Valli and the Four Seasons. The Rays’ first release showed promise with its smooth sound different from the CHESS period but was not successful. Their second release <,<,SILHOUETTES» became a monster record reaching the number 3 spot nationally and remaining on the charts for 17 weeks. The record was leased to CAMEO PARKWAY for better distribution and was immediatly covered by the DIAMONDS on MERCURY who themselves remained on the charts for 8 weeks, taking their version to the number 8 spot nationally. Also at this time ABC RECORDS released an unsuccessful version by Steve Gibson and the Red Caps. The record was recorded by several other artists throughout the years including THE FOUR SEASONS and FRANKIE LYMON. The British invasion saw Herman’s Hermits take the song to the number 5 spot on the national charts in 1965. The popularity of THE RAYS caused CHESS Records to dust off 2 unreleased sides from its vaults and also release an EP which is today a very rare and valuable item with a beautiful Picture cover. The group was never to have a major hit again, although over 1O more records were released. Songs like <,<,TRIANGLE», <,<,SOUVENIERS OF SUMMER», and <,<,MAGIC MOON» all written by Crewe and Slay had that same great sound but could not capture enough DJ’s attention to become big hits. Soon the CAMEO and XYZ releases came to an end as did the original RAYS. In 1961 Hal Miller continuing his association with Bob Crewe was put together with an up coming group soon to change the sound of <,<,todays>,>, music. This group the FOUR SEASONS backed up Hal on his TOPIX, PERRI and in 1964 AMY releases. <,<,AN ANGELCRIED» was eventually rewritten by BOB GUADIO and released by CHUCK JACKSON as <,<,KING OF THE MOUNTAIN». With these records also fading it was time for HAL to close a chapter of over 10 years of singing. Most of the songs THE RAYS recorded during this span have been made available for you on this album. As one of their releases states <,<,RAGS TO RICHES», unfortunately for HAL MILLER and THE RAYS they went from RAGS TO RICHES back to RAGS in an industry that more times then not is very unrewarding. Legendary tales abound regarding this smash. A few may even be true. 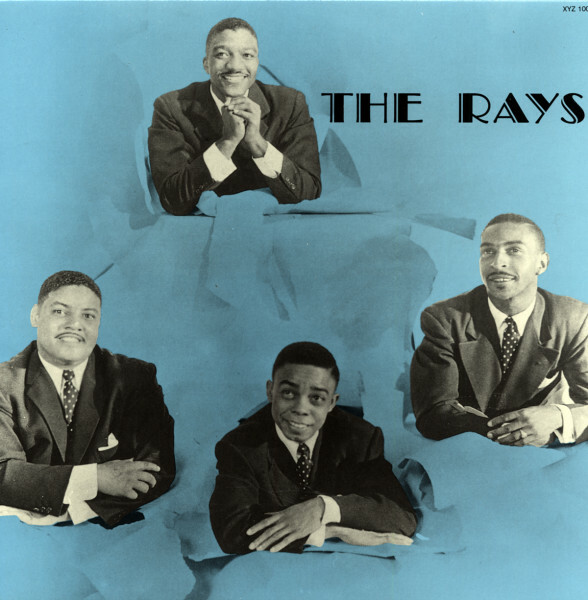 The Rays were a Brooklyn quartet boasting more musical experience than most of their peers. Second tenor David 'Sugar Lump' Jones had been with The Four Fellows of Soldier Boy fame (it's on our 1955 disc), and powerful lead singer Harold 'Hal' Miller was once with The Four Toppers, the Fellows' predecessors. Tenor Walter Ford and baritone Harry James rounded out The Rays. 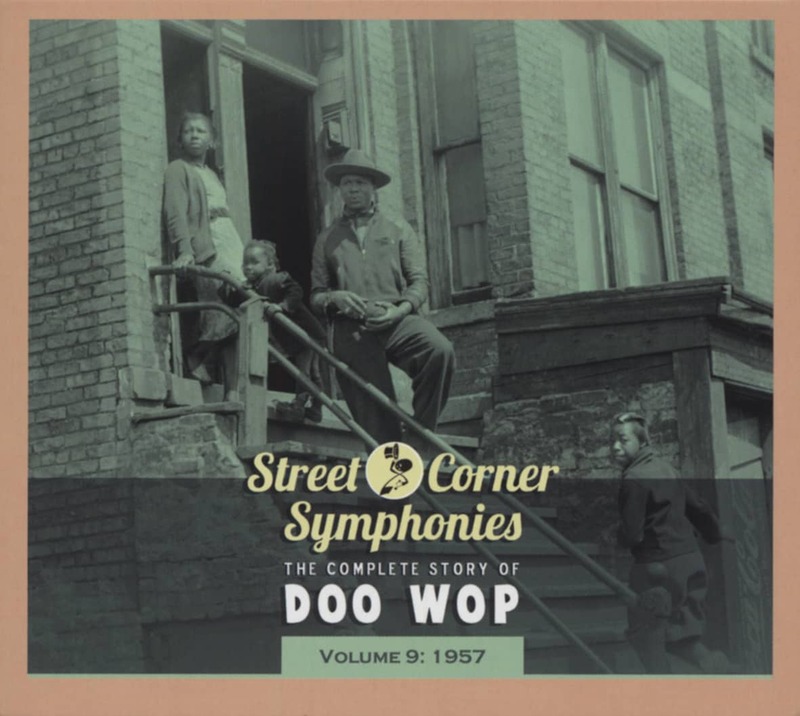 They began working with songwriters Frank Slay, Jr. and Bob Crewe when they signed with Chess and released the upbeat Tippity Top b/w Moo-Goo-Gai-Pan at the end of 1955. They encored with a ballad, Second Fiddle, flipped with the hard-charging How Long Must I Wait, out on both Chess and Argo in 1957. Crewe, a handsome young singer with several singles of his own, supposedly noticed a couple romantically embracing through a window shade while aboard a passenger train, inspiring him to team with lyricist Slay to work up Silhouettes. The clever rock-a-ballad sports an entrancing narrative; the singer thinks he sees his girl kissing another guy through the shade, only to realize he's peeping through the window of a house on the wrong block (he races over to his chaste girlfriend's place, thoroughly relieved). Crewe and Slay gave their creation to The Rays, Miller belting the tale with dramatic zeal, and put it out on their little Philly-based XYZ label with the hip rocker Daddy Cool, another Crewe/Slay creation, on the rear. It was their XYZ encore; the devotional ballad My Steady Girl came before it. Supposedly Philly deejay Hy Lit dozed off while auditioning new singles, Silhouettes endlessly repeating on his record player. By the time he woke up, Lit had absorbed every note. He spun Silhouettes on his show and got the ball rolling. Bernie Lowe and Kal Mann's Cameo imprint, a bigger local concern, picked the single up. It was a smash, zooming to #3 on both the pop and R&B listings in the autumn of 1957. The Diamonds took no chances, covering both sides of the 45 for Mercury, but their Silhouettes only made it to #10 pop. Also charting with a cover for ABC-Paramount: '40s mainstays Steve Gibson & The Redcaps. Herman's Hermits made Silhouettes a hit again in '65, peaking at #5 on the pop Hot 100. The Rays made more platters for Cameo (their first encore paired the Silhouettes-styled Triangle flipped with Rendezvous) and XYZ. It took a while, but the quartet found their way back to the pop hit parade in 1960 with the catchy Mediterranean Moon and then Magic Moon (Clair De Lune) the next year, both on XYZ and penned as usual by Crewe and Slay. Not much was heard from the Rays after that, but Crewe masterminded incredible hitmaking runs by The 4 Seasons (who cut their own version of Silhouettes on Vee-Jay) and Mitch Ryder and The Detroit Wheels. Customer evaluation for "The Rays"